WikiGeeks is a realtime race played within Wikipedia.org that gives players a topic, asks them to choose a starting page, and then race to be the first player to reach a revealed wikipedia page only using hyperlinks. At the start of the round, the topic is announced (e.g. Civic History). All players choose to any page on Wikipedia they want to start at by typing in the name of an article. This page becomes their Start Page for the round.They should choose their Start Page based on its likelihood to have good connections to other pages in the sphere of the topic. Once everyone has navigated to a page of their choice, the Destination Page (e.g. Berlin Wall) is revealed. Players now must navigate to the Destination Page using only links embedded within articles. Players are ranked according to who got to the end goal first, second, and third. Once third place spot is fulfilled or the timer is up, the round is over. If NO players reach the goal before time is up, the FIRST player to do so is the sole winner of that round. Points are scored by being among the top three players who reach the goal. Points are also awarded based on how many clicks it took for the player to reach their goal. The less clicks, the more points! After each round the game shows the 1st, 2nd, and 3rd place player's pathway from their starting point through to the end goal. 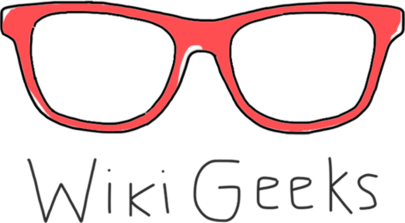 Will you join the ranks of the Wikigeeks? It is a free online encyclopedia that allows its users to edit almost any article, creating an interlinked, crowdsourced network of information. Learn how to navigate hyperlinked content and understand how it is digitally mapped. Explore how different topics relate to one another. Learn how content is mapped online. Learn about the hyperlinking on information online. Navigate the ecosystem of hyperlinked pages in Wikipedia. Create Wikipedia pages that improve information in the platform. Students will have the chance to critically explore the web as a hyperlinked and navigable content ecosystem. They should consider how these connections provide value and meaning. Wikigeeks also shows us the power of people to create vast troves of information, and open a world of insight around topics big and small. Students should consider this power in their work. Along with the power of people-sourced information is the question of credibility. Many people question the credibility of wikipedia-and wikis in general-because they are not made by professionals. This allows us to consider how credibility shifts when based on and built by people. Students should consider how hyperlinking challenges traditional notions of deep reading, singular focus, and orients us towards monitorial investigation and consistently distracted attention spans. Have students consider the motivation for people to contribute to wikipedia in the first place. Why contribute to an anonymous online encyclopedia? What benefits do we gain? What are the tradeoffs involved? Wikipedia articles and other encyclopedic content are generally written from a neutral point of view, representing significant views fairly, proportionately and without bias. Was this true in your navigation? How do we assess the credibility of wikipedia content? Verifiability means that people reading and editing the encyclopedia can check that information comes from a reliable source. Do any of the articles contain any new analyses of published material that serves to advance a position not clearly advanced by the sources? Wikipedia does not publish original thought: all material must be attributable to a reliable, published source. How does this uphold in your experience navigating the platform? How does the need to navigate information quickly impact your ability to retain knowledge? How can this experience influence your perception of Wikipedia?